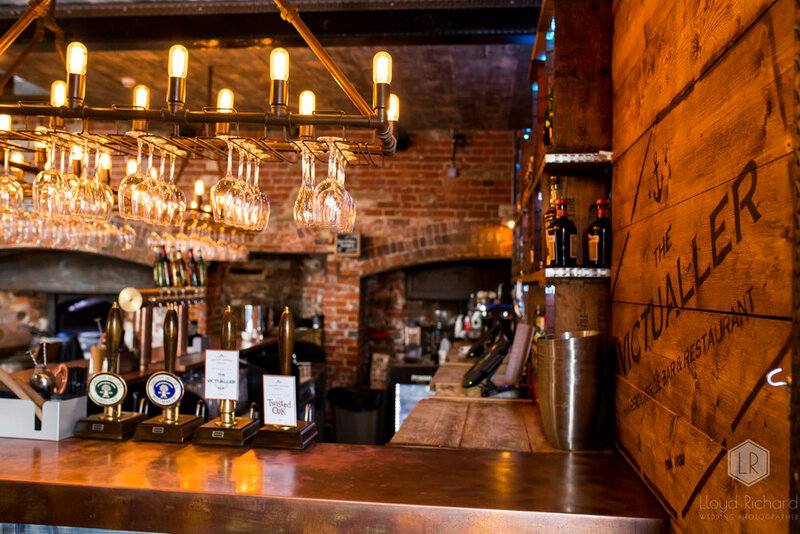 The bar at the Victualler is perfect for a relaxing lunchtime drink or a memorable evening out with friends and family. You can soak up the atmosphere of the historic bakery building with its many original features or sit outside and take in the beautiful waterfront views. The bar serves food all day Tuesday to Sunday and our menu includes freshly cooked light bites and sandwiches, a selection of steaks and burgers from the chargrill, as well as stone baked pizzas from our pizza oven. The Victualler’s restaurant combines a beautiful setting with exceptional food and friendly service. Ideal for business lunches, intimate dinners or a get together with friends and family, the menu boasts an excellent range of starters, mains and desserts. The restaurant serves food all day Tuesday to Saturday and the traditional roasts every Sunday.